At the time when we are reviving our spirits during the last days of Ramadhaan 1437, I just want to recall the hadeeth on Qiyamul Layl and share a few practical tips towards Muhasabah. This will not take more than 5-7 minutes of your precious time, InshaaAllah. As the Mother of All Months is coming…..
Ramadhaan is the Month of Qur’an, the Month of Fasting, the Month of Forgiveness, the Month of Mercy, the Month of Charity, the Month of Blessings, the Month of Qiyamul Layl……the Month better than a thousand months. As such a mega month is fast approaching us, I am presenting here as usual 🙂 some e-books and links that would help remind you about Ramadhaan and its significance, Inshaa’Allah. “And remind, for indeed, the reminder benefits the Believers”. 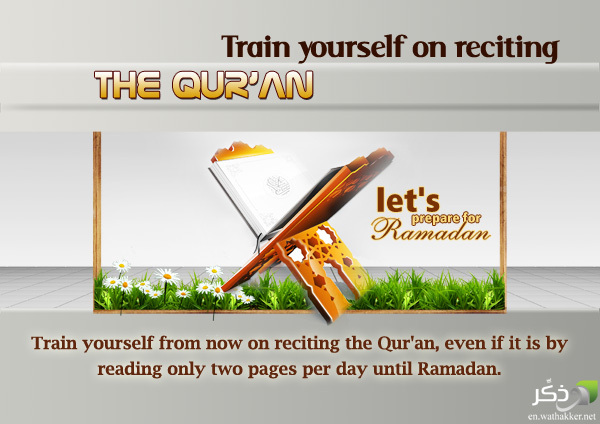 As Ramadhaan is round the corner, you may come across lots of books/articles on internet etc. discussing about fasting, zakah and all. Of all the books, I would rate this short and sweet write-up by one of the most prolific writers of modern times, late Ustadh Khurram Murad*, as No. 1 – the top most book ever written on the subject ‘Making the Most of Ramadhaan’. I request all my readers to please take time to read this 34-page book well before the coming of the blessed month, Inshaa’Allah. Even if you have read this book before, still this is worth-reading again. Early Hours before dawn is the most productive time by all means. Our glorious Prophet Muhammad sal-lal-laahu-alaihi-wa-sallam, his noble companions and the pious predecessors of the Muslim Ummah used to value this time by indulging in great acts of worshiping one’s Creator. Alhamdulillah, this file is made and completed today by the grace of Allah. For the content and the way it is being made – this du’aa is a delight to listen/read/understand/make. Praying for the Mazloom is MUST! Monks in Burma have shown their true colour! Life is like an ice-cube. It melts in no time! See how quick Ramadhaan came and how fast it is moving away from us……..!